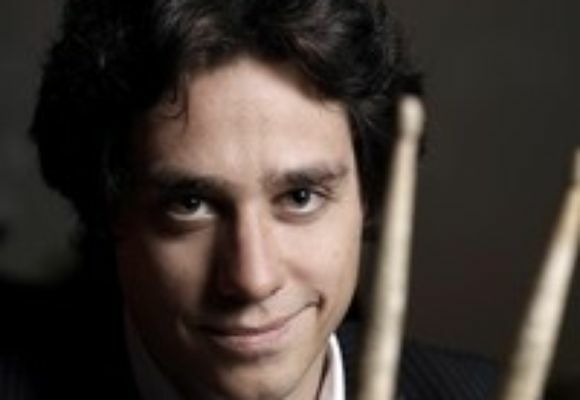 Born in Bremen, *30 June 1976 remained, despite interim periods in world cities like New York City and Berlin, faithful to his adopted hometown of Hamburg and earned a reputation as a jazz drummer with fascinating technique and a lot of musical intuition  Drums & Percussion, January 2005. From 1996 to 2002 he studied drums at the University of Music and Drama in Hamburg with Wolfgang Haffner, Hans Dekker, Ed Thigpen, Gene Jackson and Gerry Brown. He received musical inspiration from the department head and former conductor of the NDR Big Band Dieter Glawischnig and from Wolfgang Schlüter, becoming a permanent member of his quartet with Boris Netsvetaev and Philipp Steen. From 1999 to 2002 Kai Bussenius was on the drums of the Federal Jazz Orchestra conducted by Peter Herbolzheimer. The adoption of a promising future has been reinforced by the award of a DAAD scholarship, which he spent 2004-2005 in New York City, as well as being awarded the scholarship from the Jazz Foundation of Dr. E. A. Langner for Hamburg jazz musicians in 2007. Being in high demand as sideman he played with musicians like John Abercrombie, Kenny Wheeler, Lew Soloff, Franco Ambrosetti, Billy Harper, Howard Johnson, Gary Husband, Wolfgang Schlüter, Herb Geller, Dave Liebman, Ayako Shirasaki, Joja Wendt, Tom Gäbel and Ulita Knaus. Kai Bussenius learned from the innovations of Mel Lewis, Paul Motian, Jack DeJohnette, especially one conclusion: be original.